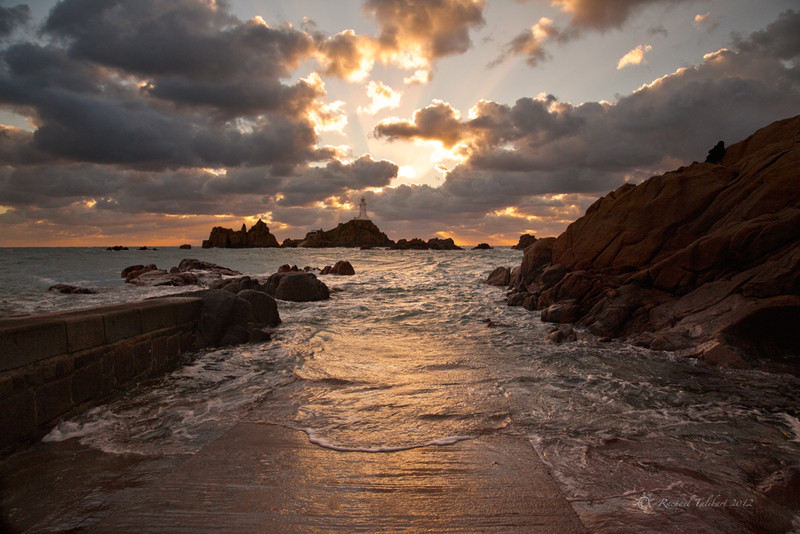 This entry was posted in photography, travel and tagged Channel Islands, Jersey, La Corbiere, landscape photography, lighthouse, photograph, photography, seascape, sunset by Rachael. Bookmark the permalink. wow, gorgeous photo, it has so much depth! I have done St Michaels Mount in Cornwall which is similar I understand this looks as equally a fabulous place. Thanks, Scott. Yes, I know St.Michael’s Mount. It’s equivalent is Mont Saint Michel on the French mainland, not far from Jersey. I hope to make a trip there next summer if our plans to spend more time in the Channel Islands come to fruition. Looks pretty fantastic to me. Good thing the family was willing to indulge you. Yes, thankfully. They got to spend each morning surfing so they didn’t feel too bad about letting me have the sunset hour. Shame there weren’t any sunsets until the last day! Thanks. It is a very lovely place, in all weather. Thanks, Bec. It was a tricky exposure, with only the smallest sliver to get details in the shadows and the highlights. As though shooting sunsets/-rises weren’t stressful enough already! Nice work!